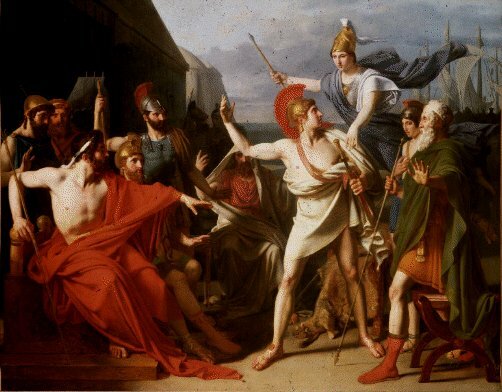 Few readers – or academics – could have read The Iliad with more care than P. B. Adamson has. As a historian of military medicine, he went through Homer’s epic poem and listed every single cut and injury, together with the weapon of cause, and whether the wound was fatal or not. 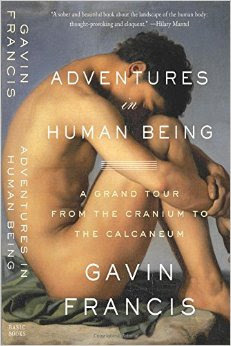 I read about this in Gavin Francis’ excellent Adventures in Human Being: a hugely interesting exploration of the body, one part at a time, with frequent intersections from art, literature, history, and broader science. The author of The Iliad was a surprisingly accurate observer of anatomy. […] There are some medically qualified Homer enthusiasts who have gone so far as to propose him as an early battlefield medic. Repeated through The Iliad are careful accounts of spear wounds, arrow strikes and sword blows, which take care not just to describe the part of the body that has been wounded, but the physiological effects of those wounds and, on occasion, specific treatments. While The Iliad is not a historical document, something that Adamson fully acknowledges, his findings are fascinating nonetheless. 41 per cent of those hit by a stone in Homer’s epic end up dead. Archery delivers poorer accuracy than close-up violence: 74 per cent mortality as opposed to 100 per cent for swords and 97 per cent for spear thrusts. The legs of Homer’s characters are rarely injured, and there are perhaps two main reasons for this. Firstly, the head, neck and trunk are generally the parts of the body aimed for. Secondly, during the Trojan War, men would frequently be fighting thigh-deep in the bodies of their fallen comrades, from the back of a waist-high chariot, or even from the protection of their ships. When the arms are damaged, it’s usually because they are being raised in defence, or injured while themselves raised in violence. As Gavin Francis notes in Adventures in Human Being, these patterns are still seen today: when assessing victims of domestic abuse, doctors often check the forearms first, as these are typically raised when warding off an attacker. Adamson also explores changes in the form of attack (largely due to developed technology and machinery) and consequent injury, alongside advances in medicine. Spears were most deadly during the Trojan War (the setting of The Iliad), while swords had become the most fatal weapon by the time of the Romans described by Virgil in The Aeneid. Despite the horrific squalor and brutality of the Crimean War, the mortality rate from injuries was 26 per cent. A similar rate applies to British troops in the First World War. Of two and a quarter million soldiers, under six hundred thousand died as a result of their injuries. In World War I, Adamson shows that at their worst, shells and bombs turn up a mortality rate of 29 per cent. This is less than the mortality rate for thrown stones described in The Iliad. The topic of research is brutal, but brutality – like the fragility of the human body – is hard to gloss over. P. B. Adamson. “A Comparison of Ancient and Modern Weapons in the Effectiveness of Producing Battle Casualties”, Journal of the Royal Army Medical Corps 123 (1977) 93–103.